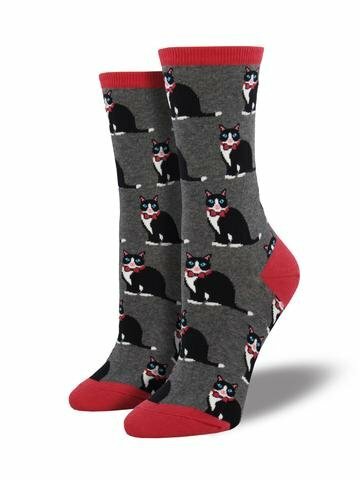 Are you a cat lover who loves to get dressed up? Or dress up your cat in beautiful bows? 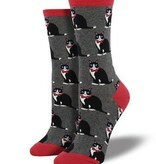 Then these heather gray tuxedo cats socks are the perfect addition to your sock drawer!